Choose a box size to provide more space for commonly archived things like documents, books, papers and photos, and allow them to be stored flat. The ones we stock are simple capped boxes, complete with oxygen removal and sealing kit - good for up to 75 year storage and can be buried. Add a preservation kit to provide separate enclosures for your contents. 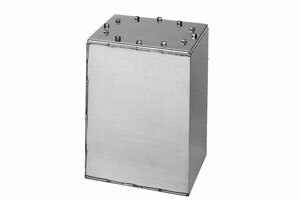 The cylinder shapes are popular because they are inexpensive, yet still made of stainless steel. Choose from those in our Family, Nonprofit (School), Baby & Wedding categories. These capsules are fine for storage up to 50 years or more. 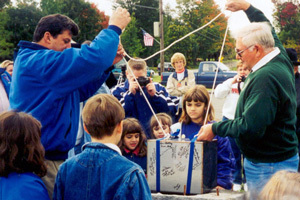 The time capsules you can bury come with sealant in their basic configuration. You can add a preservation kit or oxygen absorbers to complete the package. 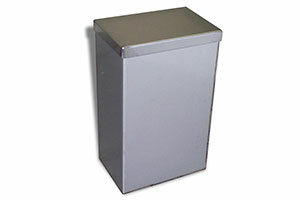 This category includes some of both the capped and cylinder time capsule styles. You can look at both styles in this one category. The ones here have been most popular for groundbreaking and 'Topping Off' ceremonies. 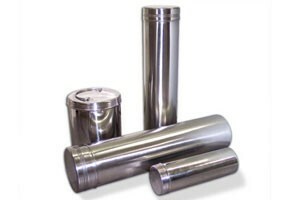 Here are the heavy duty time capsules that are special order only. This special Bolted Style 3000 lasts 100 or more years. Please allow 6 weeks fabrication time for this item.